Columnist’s challenge: Compare the novel “Gone Girl” to the movie “Gone Girl” without spoiling the ending for anyone who hasn’t read or seen it. I’m writing this column from Denver during a visit with daughter Meg. When I was here last February, I had just begun reading Gillian Flynn’s can’t-put-it-down bestselling novel and quickly became so engrossed in the story that I wasn’t very good company. She did. The remainder of the weekend was mostly spent in contented silence while we both churned through the novel, careful not to talk about it lest one of us accidentally spoil it for the other who might be a couple of chapters behind. Happily, though the movie had already come and gone from Cookeville’s Carmike Cinema, it was still showing at a theatre near Meg’s house. So off we went through the ice and snow to the 4:30 show. Imagine my surprise when I learned that, unlike the $5.50 matinee ticket price in Cookeville, it costs $10.50 to see a matinee in Denver! And since I hadn’t lugged my refillable popcorn bucket along on the airplane, I had to fork over seven more dollars for a small bag of popcorn for us to share. “Gone Girl” is a wild roller coaster ride. The story centers around a magazine writer named Nick, who has lost his job. Ditto for his beautiful wife Amy. The out-of-work journalists leave New York City for the small town in Missouri where Nick grew up and where his mother is dying of cancer. For Amy, Missouri is an unwelcome culture shock. A shock made even more unpleasant when Nick uses her trust fund to buy a bar with his twin sister and leaves friendless Amy home alone in the elegant but soul-less suburban mansion they are renting. And then begins an affair with a younger woman. On the morning of their fifth wedding anniversary, Amy goes missing. Foul play is suspected and Nick quickly becomes the main suspect. That’s all I’m going to say about the plot. Anything more would be a spoiler. 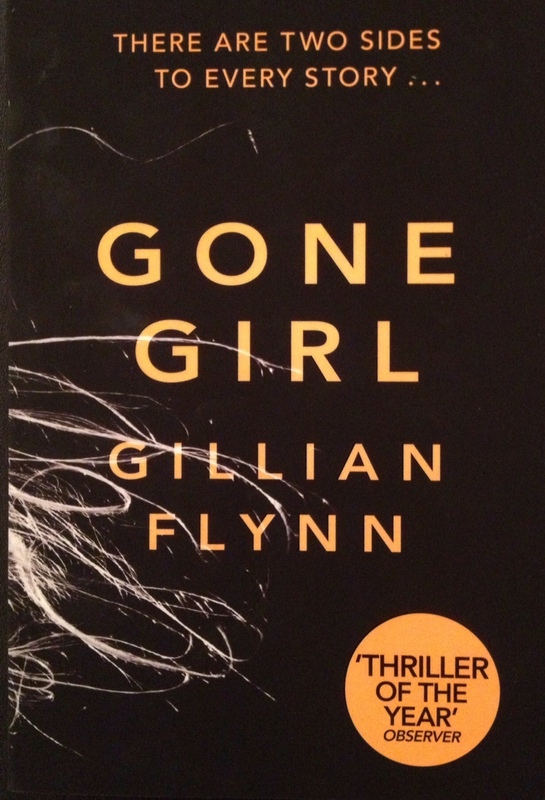 But I will say that “Gone Girl” kept me turning the pages more than any book in recent memory has. Naturally, the movie didn’t keep me on the edge of my seat. I already knew what was going to happen, especially since author Gillian Flynn also wrote the screenplay. But it was riveting. And, for the most part, Flynn remained true to her original story, though—like most every screen adaptation of a book—she had to leave a lot out. “Gone Girl” is definitely adults-only entertainment. Both the book and the movie are rife with profanity, strong sexual content, and one scene of such graphic violence that I’m unlikely ever to forget it. Great literature it isn’t. But the story is so filled with unexpected twists and turns, and so dead-on with dialogue and description, that I can’t help but recommend it. And to believe that Gillian Flynn is well deserving of the millions she’s made. Too bad the movie’s not still showing in Cookeville. But hooray that the Putnam County Library has several copies of the book.